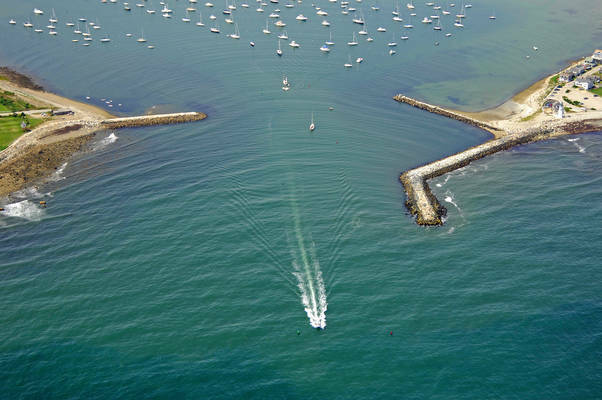 Scituate Harbor is conveniently located about 18 miles southeast of Boston Harbor and 16 miles north of Plymouth Harbor on the Atlantic Ocean. 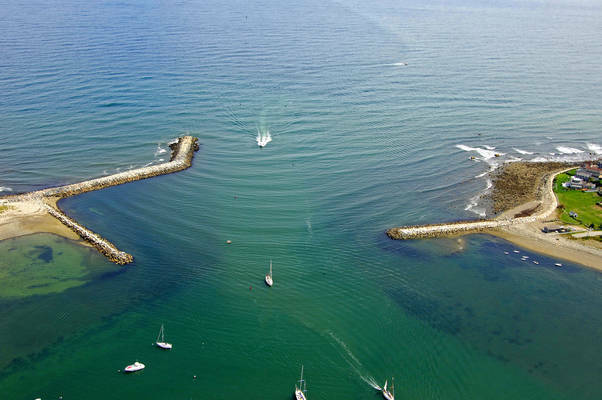 Scituate offers a huge and friendly harbor with excellent depths through out, and is well protected from all but the strongest storms that blow out of the northeast. 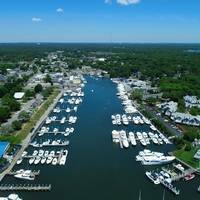 The marinas here fill quickly, so you will be well-advised to secure your slip for the evening by making an advance reservation prior to your arrival. Red and white Morse (A) gong buoy "SA" starts out the approach to Scituate Harbor from the Atlantic, about one mile from the breakwatered entrance. Once you have begun your approach and cleared red and white Morse (A) gong buoy "SA," keep an eye out for red nun buoy "2" and green can "1." Directly after these marks, flashing red "2A" marks the north breakwall in Scituate Harbor. 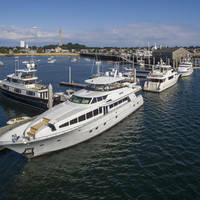 The marina facilities line the west shore of the harbor starting at red nun "8," and continue down to the southern end of the harbor. 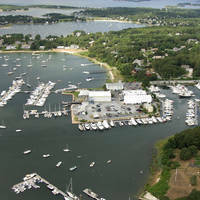 The entire harbor is lined with moorings that are managed by the local yacht club. Just tie up to an available mooring ball and a boat will come around at some point and collect the fee. Water taxi service is available with a hail on the VHF. No reviews yet! 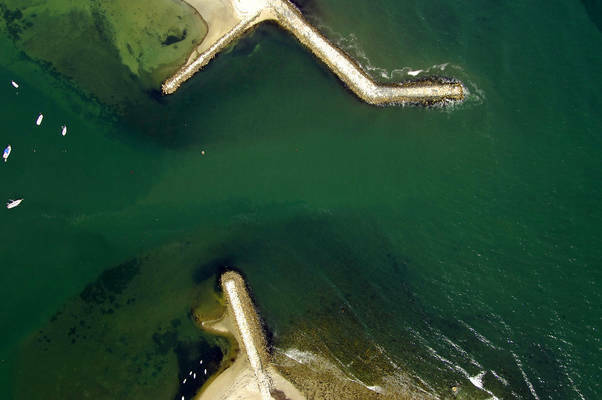 Be the first to write a review of Scituate Harbor Inlet.